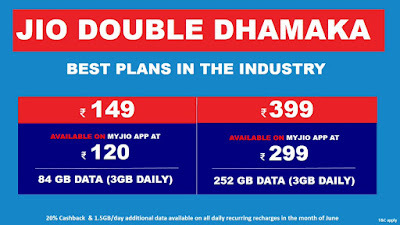 Reliance Jio Launches "Jio Double Dhamaka" offer, Now Jio Prepaid Plan Rs.149 will be available at Rs.120 & Rs.399 Plan will be available at Rs.299 on My Jio App only. 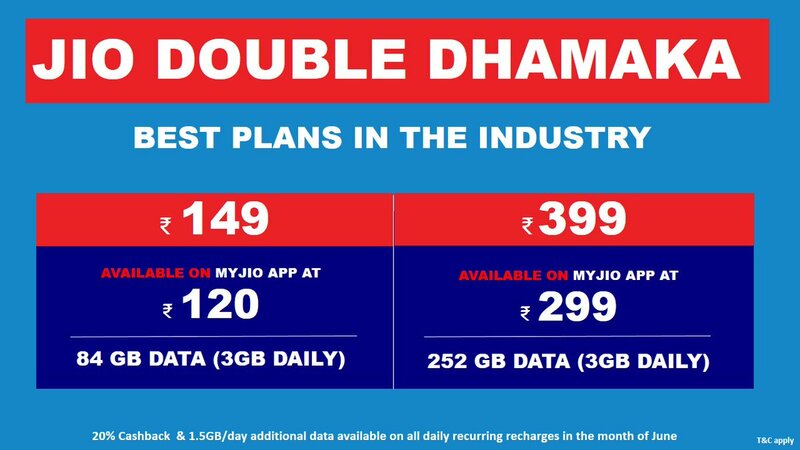 Rs 120 and Rs 299 Plan will offer now 3GB Data Daily. Jio also offers 20% Cash Back and 1.5GB /Day Additional 4G Data on all recurring recharge in June. The Offer is for limited period available from June 12 to June 30.